We begin to start hydrogen bonding term(dH term) divided into donor and acceptor. 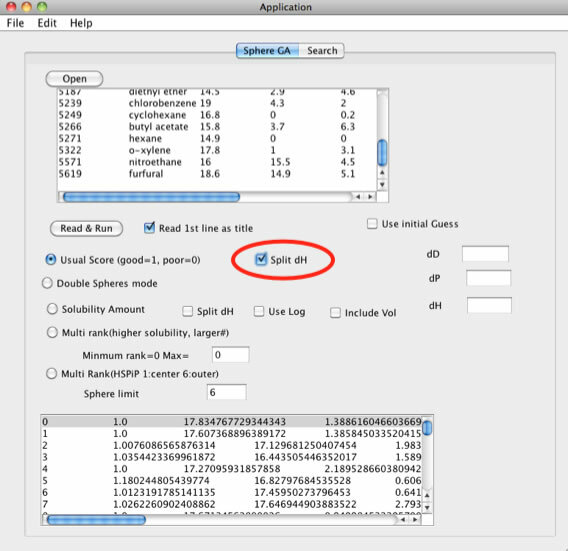 We spend a lot of time to build new HSP distance and HSP similarity scheme. But we need further study. The first scheme, the total heat of vaporization should be identical. And for the ratio of donor/acceptor, we apply Prof. Abraham, UCL (University College London) Abraham-D and Abraham-A. 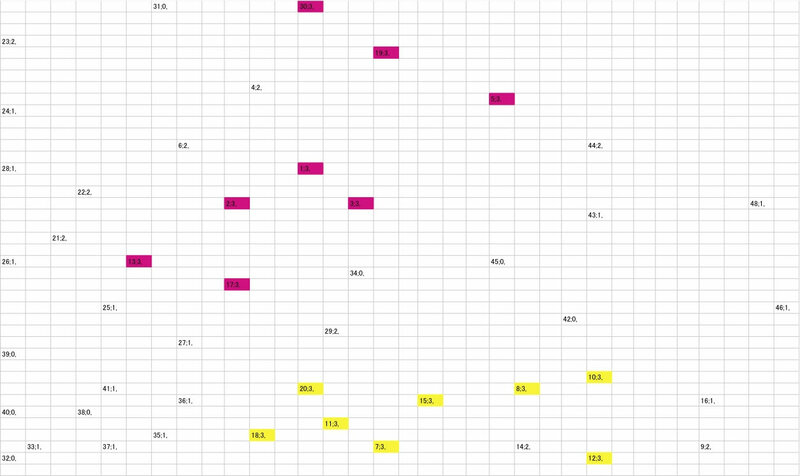 So, we made the algorithm to determine dHdo, dHac that satisfy scheme(1) and(2). And implement it into Y-MB. We get dHdo, dHac for every compounds (thanks to prof. Abraham) but we just start research to find relationship solubility and dHdo, dHac. The biggest problem is cross term. 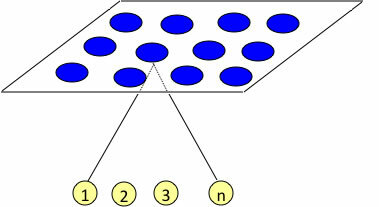 Donor compounds will interact Acceptor very strongly. So cross term decrease HSP distance. But how much this cross term decrease HSP distance. 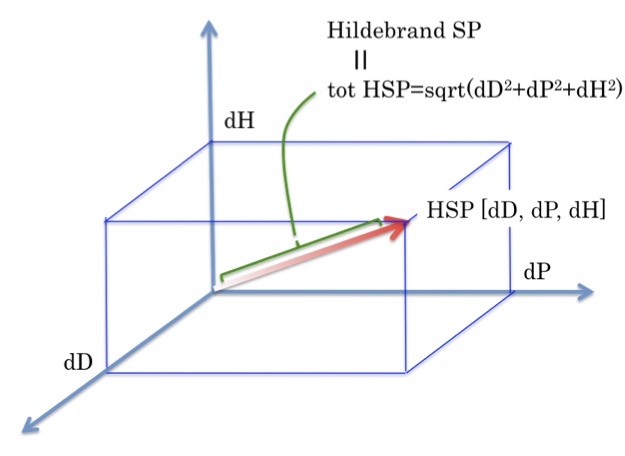 We try to analyze the polymer for packing HSP with dHdo, dHac. We apply SOM analysis and found that the strongly swelling solvents are divided into 2 groups. But there is no significant difference from the point of dHdo, dHac. 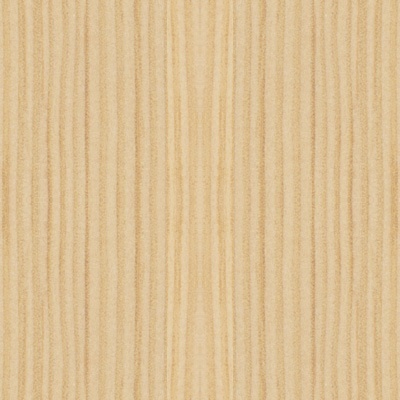 This is Japanese paper written by painting company "Kansai-Paint". They measure heat of sorption and heat of wetting for several pigments. 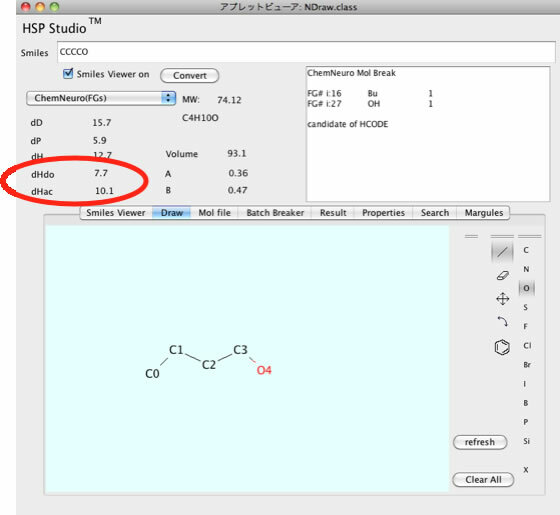 I showed the HSP of solvents and donor acceptor number for their study solvents. In the original paper, they found correlation dH(hydrogen term) with heat of sorption and heat of wetting. So, this time, I check the correlation dHdo, dHac with heat of sorption and heat of wetting. The author's conclusion is that TiO2 is the Basic Pigment and interact Acidic Solvents. 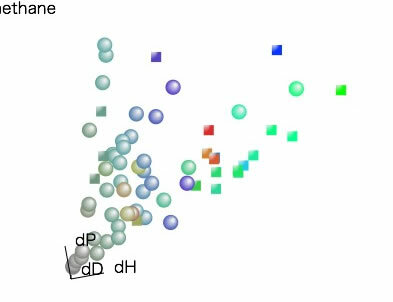 dH donor and heat of sorption plot is almost same above. Quinacridone A is believed to Acidic Pigment. 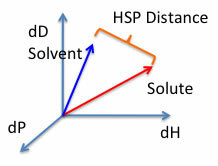 So dH acceptor and heat of sorption plot, we can easily understand of this phenomena. But heat of wetting is something very difficult to understand. 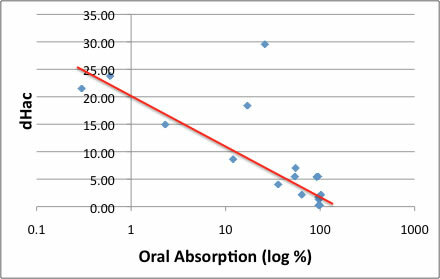 In this case, Oral Absorption and dHac have very strong correlation. Acid nature of stomach may play some role. This study have just started. And we ourselves did not understand completely. So, we are not sure we add this dHdo, dHac number in ver. 3.1.X. It will depend on user's feed back. From HSPiP ver. 4, you can use 4D HSP more effectively. Please try Power Tool!